A pillar of the country’s staunch Catholic beliefs, the Feast of the Black Nazarene is a phenomenal display of Filipino religiosity, where millions of Catholics gather in a day of procession and prayer, where the statue of a dark-skinned Jesus Christ carrying the holy cross is paraded across the streets of Quiapo, Manila, depicting the road to his crucifixion. 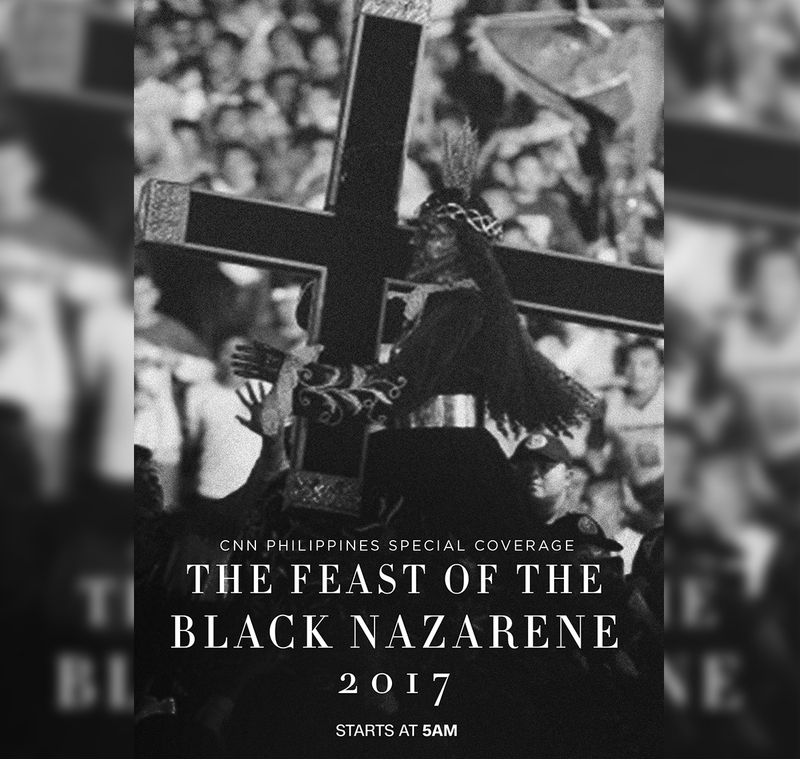 CNN Philippines stations itself at the forefront of this yearly historic event with a full coverage of the Feast of the Black Nazarene on Monday, January 9, marking the procession’s 410th year. The coverage starts at 5AM with CNN Philippines correspondents reporting live from the heart of the event at Quiapo, Manila. Housed at the Basilica of the Black Nazarene/St. John the Baptist Church in Quiapo, the statue draws pious individuals into the church’s halls throughout the year, but annually, every January 9 an estimate of nine to ten million Filipino Catholics brave the streets in devotion to the Black Nazarene, trailing the procession in hopes of touching the revered statue. The name Black Nazarene is derived from the town of Nazareth in Galilee — considered as Jesus Christ’s home and a pivotal venue of his teachings. Millions flock to the procession of the Black Nazarene as a manifestation of their devout faith, and their belief that to touch the statue will bring in healing and blessings; but more than a religious undertaking, this event has made its mark on Filipino culture and society as a whole. Join the rest of the Philippines as it witnesses this religious event at CNN Philippines Free TV Channel 9, and livestreaming on facebook.com/cnnphilippines and on cnnphilippines.com/video.